In this series, join the Capitol Hill Chamber of Commerce in a conversation with District 3 candidates. 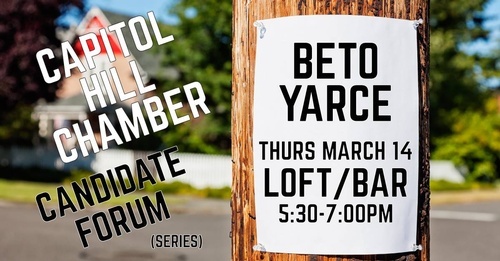 We start with Beto Yarce on March 14. Hope you can join us!